Clear bags filled with a chocolate bar, lollipop, chew bar, packet of fizzers and a packet of love hearts. Finished with your choice of themed label and personalised with any name. (contents may vary from those shown). 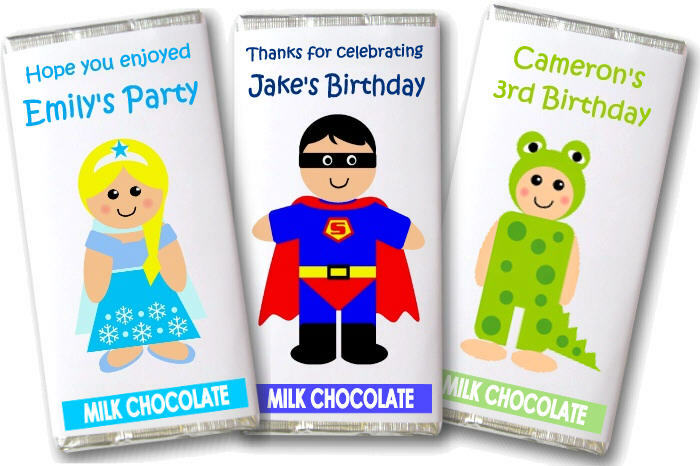 40g Milk chocolate bars with a personalised wrapper.